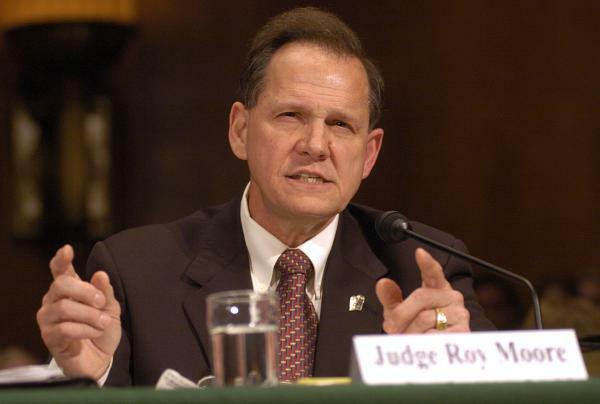 Supporters of Chief Justice Roy Moore of Alabama are planning to hold a rally on Saturday in defense of the judge, who has yet again been suspended by the state’s judicial inquiry committee, this time for attempting to defy federal court rulings on marriage equality. A list of speakers hasn’t been released yet, but it will likely include John Eidsmoe, the Christian Reconstructionist scholar who works at the foundation that Moore founded, and Moore’s friend and former spokesman Dean Young, both of whom spoke last Thursday at a press conference where they announced plans for the event. Speaking to reporters at the press conference, Young singled out Ambrosia Starling, a drag queen who’s a member of the coalition that filed a complaint against Moore and who has become an accidental celebrity since Moore claimed that she was leading the effort against him. Young compared “redefining marriage” to changing the measurements of a foot or an ounce. “The entire foundations are destroyed when you start redefining words, and especially what marriage is, and that’s between a man and a woman,” he said. 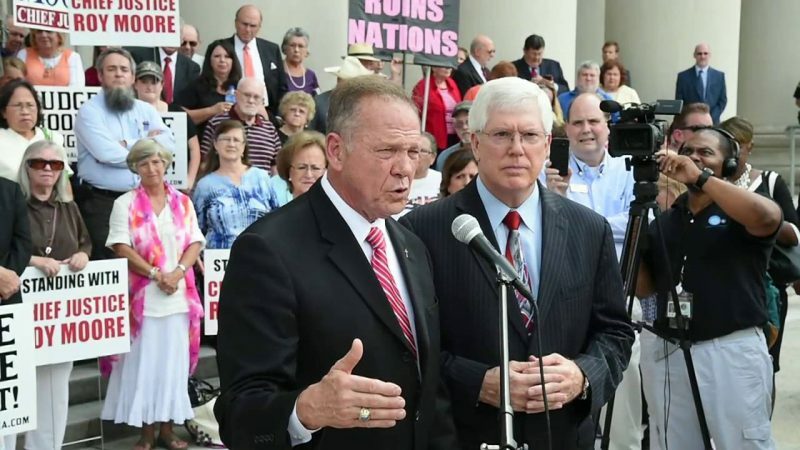 Young, who once said that if gay people “don’t like the laws of Alabama…then maybe they need to go back to California or Vermont or wherever they came from,” lost a Republican congressional primary in March. Thomas subscribes to a version of nullification that holds that “lesser magistrates” — state and local officials — must defy federal laws and court rulings that they believe violate divine law. 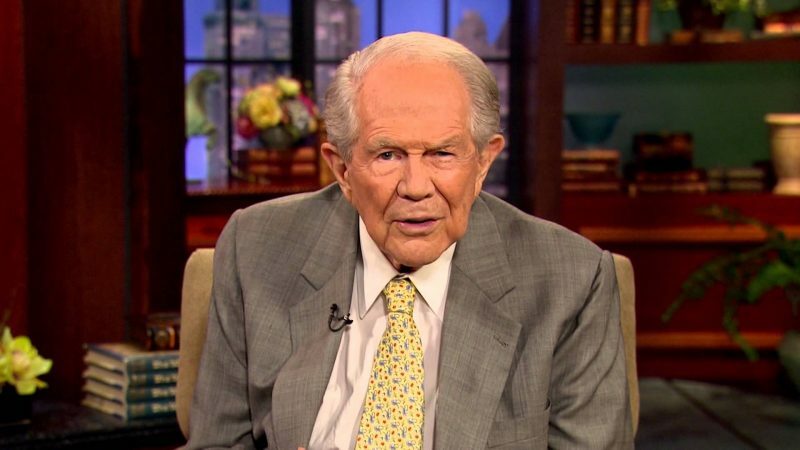 The leading proponent of this theory is anti-abortion activist Matt Trewhella, one of the signers of a 1993 document supporting violence against abortion providers, who spoke alongside Thomas at a recent abortion “abolition” event in Arizona. 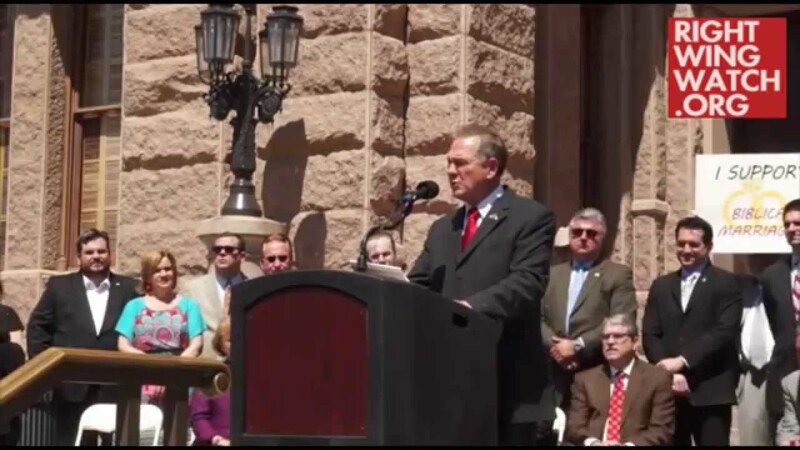 As a Lesser Magistrate, Chief Justice Roy Moore, is standing in the gap between federal tyranny and the life, liberty, and property of the citizens of Alabama and our nation. It is my sincere prayer that his example will spread like wild fire to inspire governors, state legislators, sheriffs, and other lower magistrates to rise up with one voice to say no to the federal beast, place the chain back on our federal government, restore law and order, and reestablish the checks and balances necessary to secure a future and hope for our nation in Jesus’ mighty name! Update: Moore’s wife, Kayla Moore, who heads the foundation that he founded, is also scheduled to address the rally.